This fun quilt is designed with a simple Log Cabin style block. The block is made using four step graduations in two different colors. The Teal and Brown quilt shows the layout for the queen size and the Purple and Green sample shows the throw size. 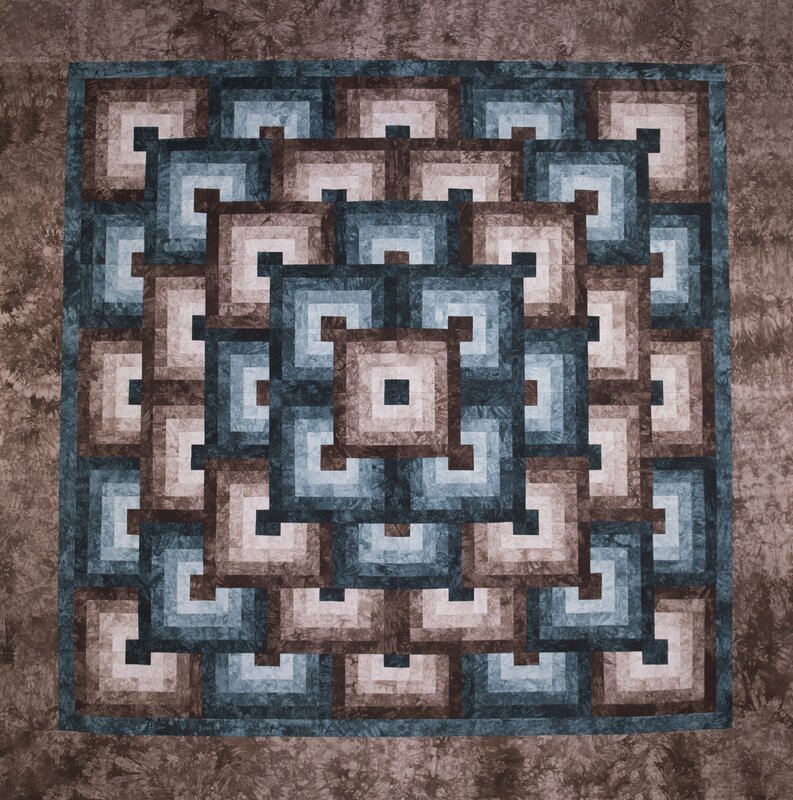 The king size kit comes with an additional 1 1/2 yards each of the 2 border colors. The sizes and arrangement of additional or larger borders is your choice, the pattern only goes up to the queen size so you determine the sizes of these borders. If you already have the queen size kit and would like to enlarge it into a king, we have added an expansion kit option. It includes 1 1/2 yards each of the two border colors along with a new pattern showing how to cut and expand the borders.